Shopping for Anything: I love Dolls!! hello..i'm back..this time I want to share about dolls..I love dolls..in fact i also got some porcelain doll collections...I will take a pix this week to my dolls. 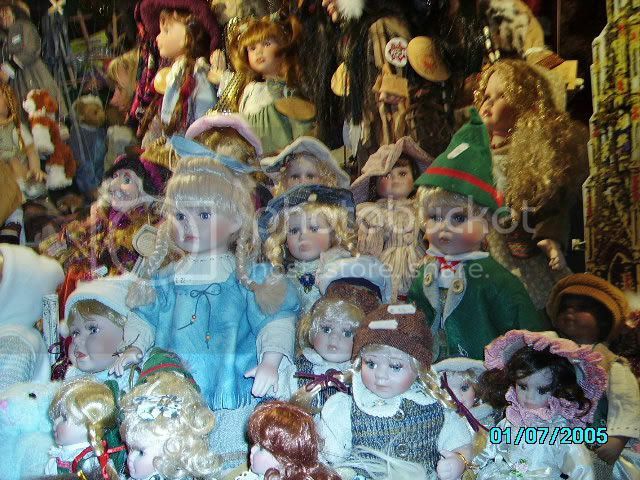 I got a photo here from a doll store in Nurnberg Christkindlesmarkt last 2007.
hala kacute sa mga dolls...murag ako...yatits... hehehe :]i like dolls pud sis..pero scary man mgcollect daw horror pg daghan na sila kaayo.. i prefer stuff toys..teddy bears..